As briefed in my previous post, the 15th edition of Maruti Suzuki Desert Storm rally has concluded in Jodhpur, Rajasthan last week. This post provides additional details on the final stage of the #MSDesertStorm, in addition to the previous post published here. Congrats to team TVS and better luck next time team Hero! Xtreme: In the Xtreme (4 wheeler) category defending champions Suresh Rana and Ashwin Naik retained their title by winning the Maruti Suzuki Desert Storm rally for the 6th time. Apparently this was not without challenges. On the last day they had to keep topping up engine oil at regular intervals. They had started 3rd in line but soon overtook other competitors to gain and maintain the lead. Xplore and NDure: These two categories are lighter versions of Xtreme, meant for new enthusiasts. NDure is the 4x4 category while Xplore category was for 4x2 sedans and hatchbacks. Amateurs participated with equal enthusiasm just like professional racers. 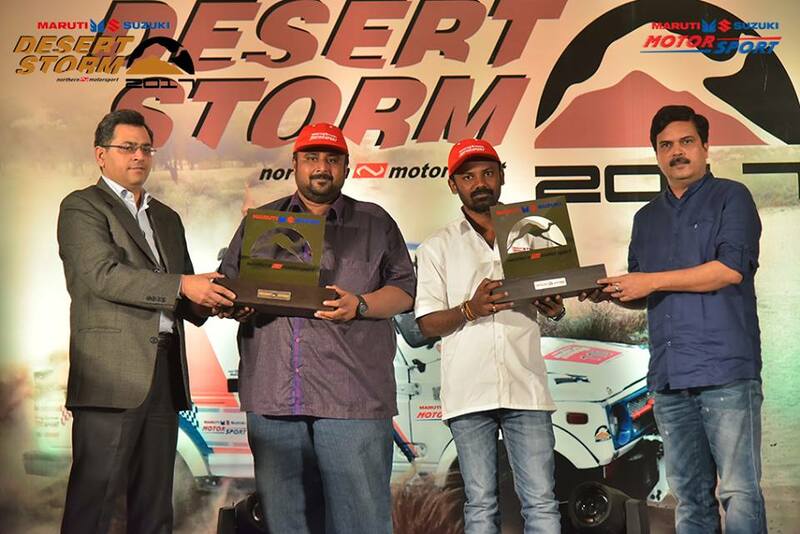 Nikunj Toshniwal and co-driver Suvrajit Dutta won the Ndure category while VitaraBrezza driven by Karthick Maruthi and S Sankar Anand bagged the first place in the Xplore category. The 5 day rally that covered most of Rajasthan was no doubt an action packed event. There was action, there was drama, there was tragedy (accidents and break downs) and there was celebration. 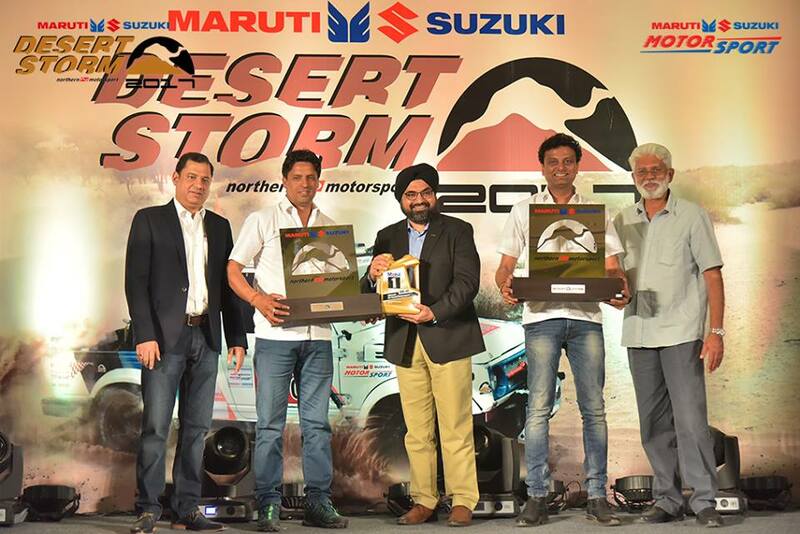 Good work by Maruti Suzuki to keep the adventure and adrenaline rush high year after year, pushing the limits of endurance, navigation and driving skills. 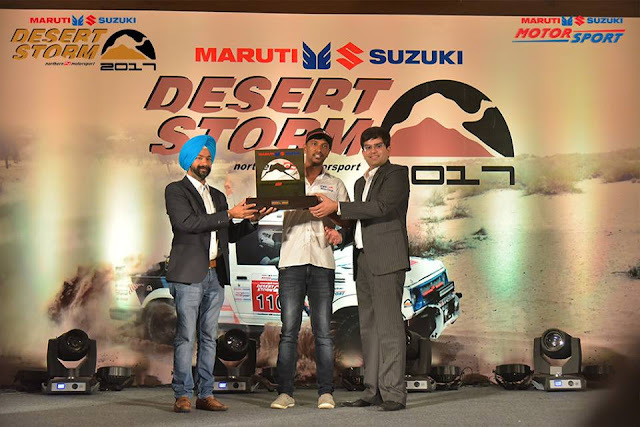 What began with Maruti Suzuki Raid De Himalaya in 1998 has since grown to include an array of events such as Maruti Suzuki Dakshin Dare, Maruti Suzuki Autocross Championship, Maruti Suzuki Desert Storm and Maruti Suzuki National Superleague TSD Rally Championship. With a strong belief to make motorsport accessible to everyone, Maruti Suzuki has been actively promoting motorsports in India for over 15 years now. 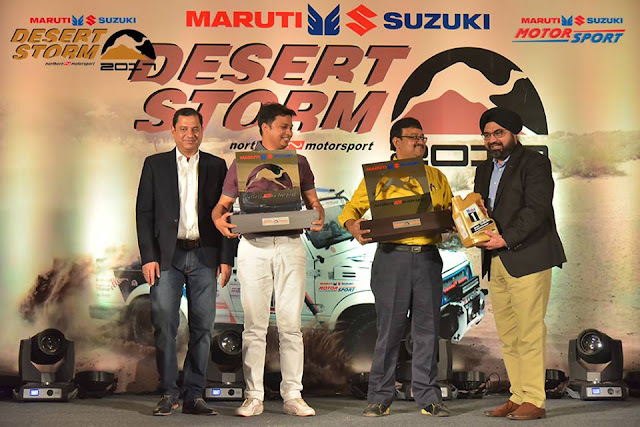 Whether you are an amateur or a professional, Maruti Suzuki Motorsport’s calendar is always lined up with events that will keep fuelling the adrenaline rush in you. While we cherish memories of the Maruti Suzuki Desert Storm 2017, we have to wait another year for the 2018 edition.